Rhythm Kids follows through on the Music Together® vision to help children complete the pathway of early childhood music development from birth through age 8. 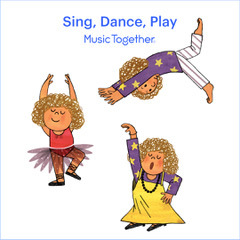 Each week we drum, sing, dance, introduce and play rhythm instruments, and begin to play music-based games. Rhythm Kids guides children toward developmentally appropriate music and movement activities, where they can begin to take charge, lead others, and be musically creative. What Makes Rhythm Kids the Right Choice? Keep Learning at Home with Video Instruction. Rhythm Kids’ learning continues at home, with interactive videos designed to be a fun, anytime activity for kids and parents alike. 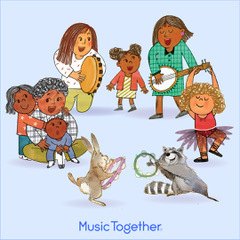 This cutting edge approach brings a great, constructive activity to your family’s day, and sets the stage for further musical learning in lessons, and musical literacy. While your kids are having fun, they’ll be refining focus, dexterity, coordination, and rhythm – all things they’ll use every day for the rest of their lives. 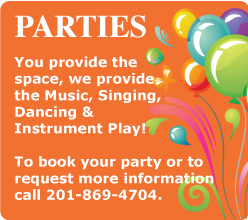 Rhythm Kids Level 1 is the next musical step for your preschool child (ages 4-5) with a parent or caregiver. and even take a drum solo! Rhythm Kids Level 2 classes are for children ages 5 yrs. through 8 yrs. Students should have their own hand drum for use at home (and to bring to class).